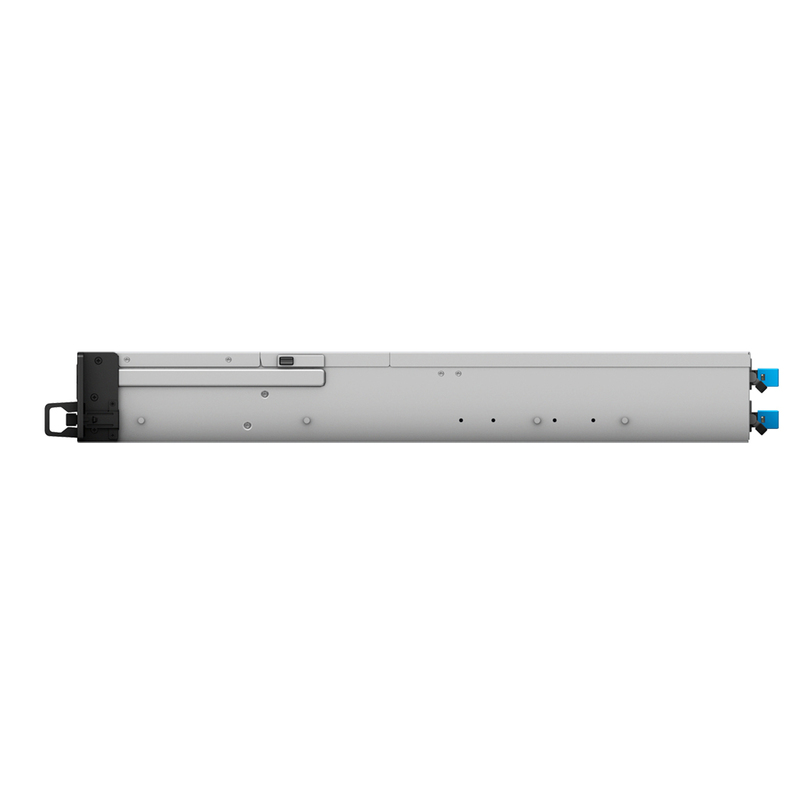 FS3017 is exclusively for projects, project prices available for resellers. For more information please contact. 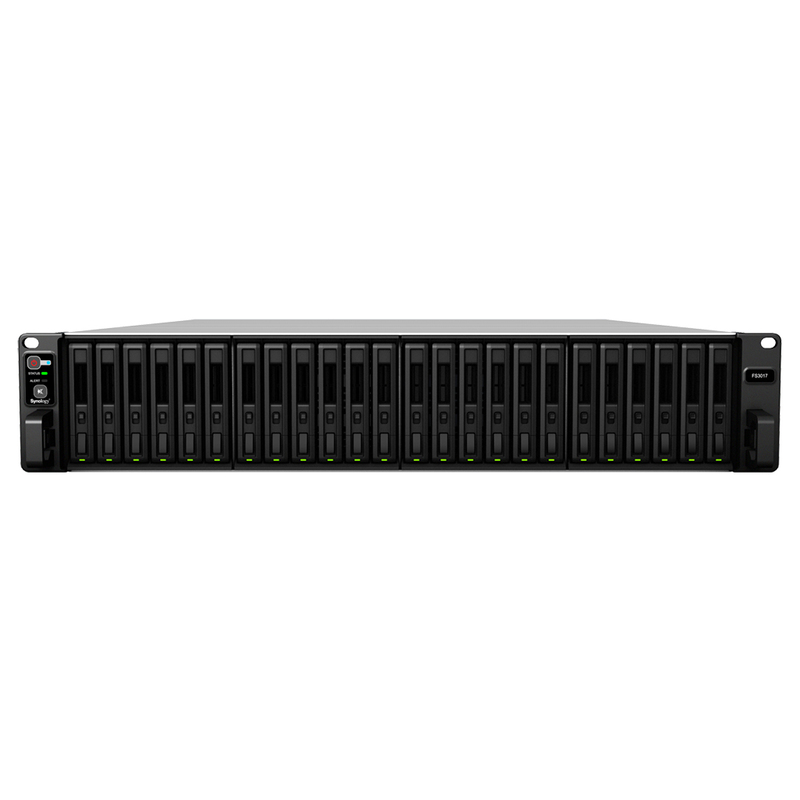 Designed for lightning-fast computing environments, Synology FlashStation FS3017 is a highly reliable, costefficient, and ultra-high performance all-flash storage solution with comprehensive business applications for enterprise users. 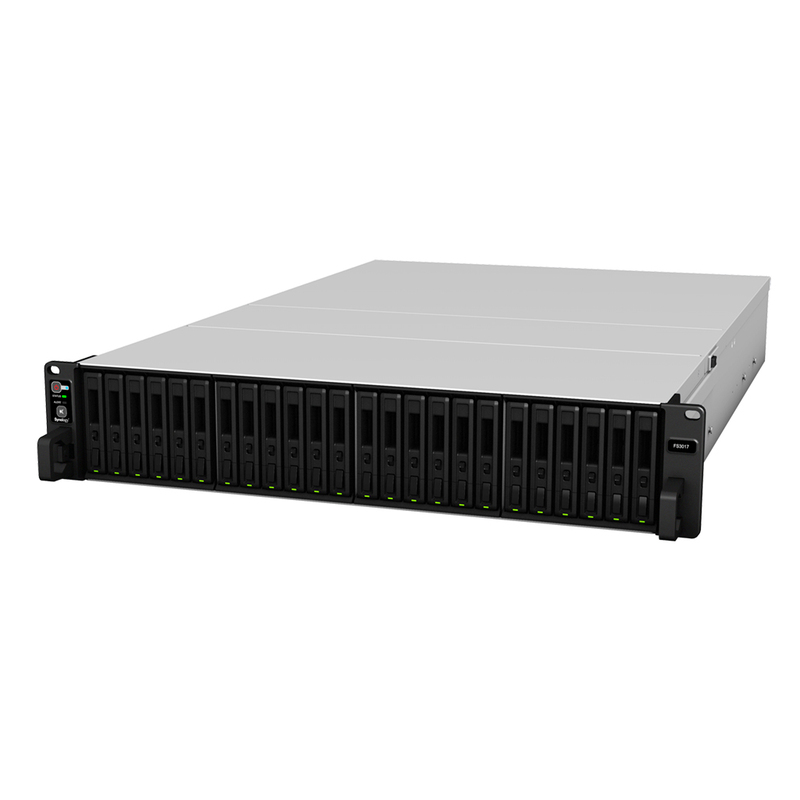 Synology FlashStation FS3017 simplifies data management and optimizes virtualization environments, with minimal time investment in setup and maintenance. Synology FS3017 is backed with Synology’s 5-year limited warranty. FS3017 delivers over 200,000 4K Random Write IOPS, making it ideal for big data analysis, video post-productions, virtualization and database applications, which require ultra-high performance and low latency. FS3017 comes with dual built-in 10GBase-T ports and supports optional 10GbE / 25GbE / 40GbE NICs with iSCSI over RDMA , allowing more flexibilities for network configurations. The built-in Snapshot Replication application provides schedulable, near-instantaneous data protection. It replicates 65,000 backup copies to offsite servers, bringing near-instantaneous data protection and ensuring data in shared folder or virtual machines in iSCSI LUNs remain available in the event of disaster. With block-level incremental backup and cross-version deduplication, Synology Hyper Backup provides multi-version backup with optimized storage space utilization and allows multiple backup destinations to local shared folders, external hard drives, network shared folders, rsync server, and public cloud services. Windows® AD and LDAP support allowing easy integration with existing business directory services without recreating user accounts. Windows ACL support provides fine-grained access control and efficient privilege settings, allowing FS3017 to fit seamlessly into current infrastructure. Application privileges controls access to applications and packages based on individual account, user group, or IP address. Synology RAID F1 optimizes RAID volume integrity and extends SSD lifespan. Synology High Availability ensures seamless transition between clustered servers in the event of one node failing with minimal impact to applications. Redundant power supplies, system fans, and multiple network ports with failover support ensure maximum continuous service uptime. DDR4 ECC RDIMM detects and corrects errors during data transmission. The tool-free system fan design allows hot swapping and simple exchanging of malfunctioned system fans. 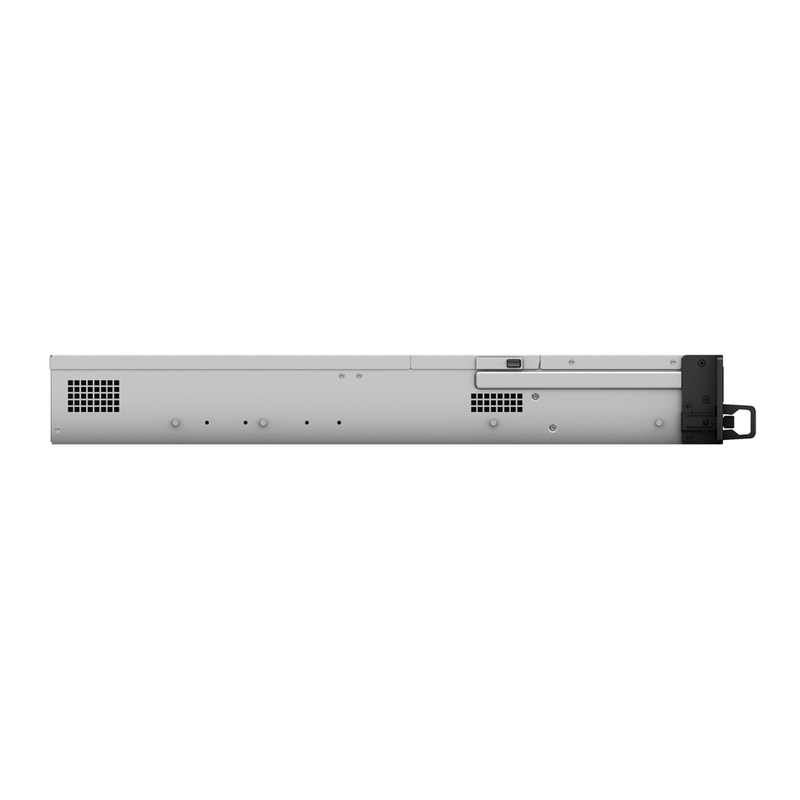 Optional Synology RKS1317 rail kit provides fast and easy system installation and maintenance.